You are currently browsing all posts tagged with 'eskkal'. meg and i went out today to take pictures of the new shawls. it was almost perfect weather. cold, but not bitterly so, mostly overcast, so a little dull, but no harsh shadows, and only a little breezy. 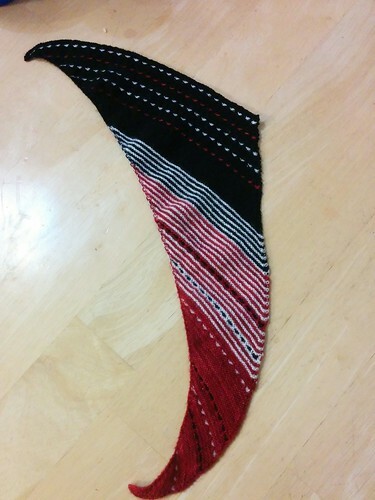 although this first shawl was done with laceweight yarn, the stitch pattern made this one a little thick, so the style options are somewhat limited. it will be a day or two before i’m home long enough to take pictures, but in the meantime here is a quick look at the shawls being blocked. in spite of the fact that i had to constantly frog this one back to get the vision in my head to match the work on my needles, this shawl was done fairly quickly. it is the biggest of the shawls so far and my current favorite. the colors on this one were inspired by this years yarnathon theme of “candyland” but i think it would look stunning with jewel tones on black, or a gradient of blues on cream. i’m pretty sure there will be more in the girls future…. 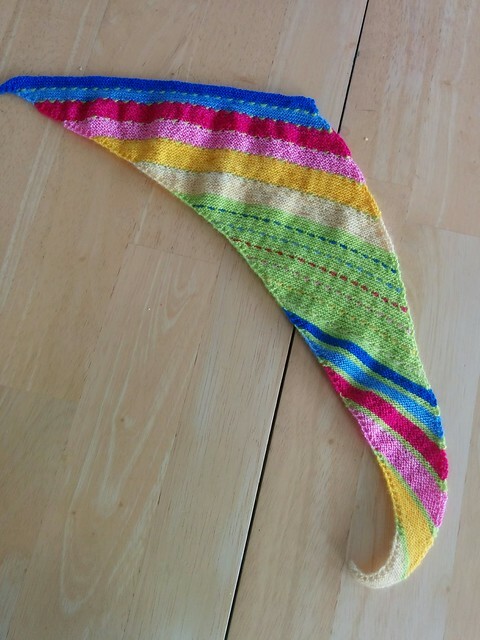 the eatsleepknit kals are wonderful this year. since they are vaguely freestyle and we can combine projects to get the required yardage, i’m able to do lots of doll knitting/crocheting and have it qualify. i’m hoping to join all the kals, will have to see whether the flash kals work out too. this is going to help me get lots of yarn knit up this year. yay! 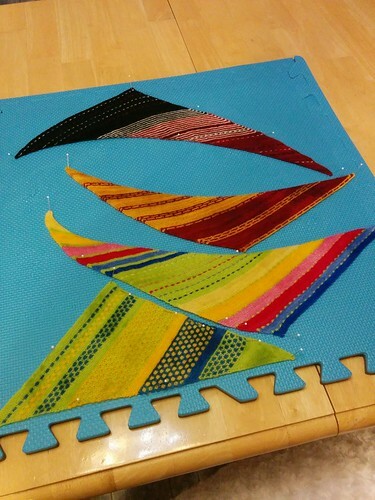 the winter season has two kals, melanie berg patterns and persian dreams. 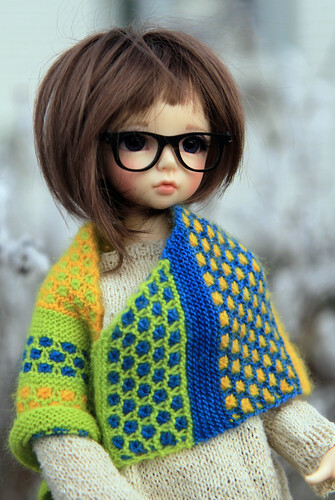 i’m knitting some nice warm winter shawl-scarves for my minifee girls for the first one. so far the patterns are more “inspired by” than actually following 😉 but that is always the way i knit and they are coming out quite nicely i think.